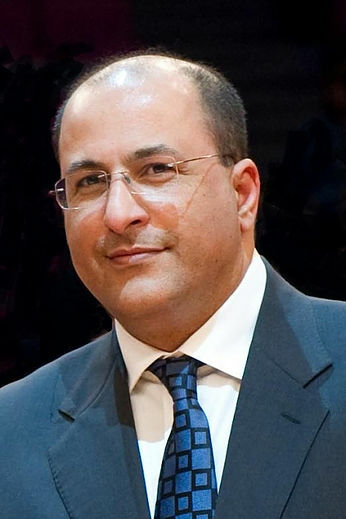 Ambassador Ido Aharoni serves as Global Distinguished Professor at New York University’s School of International Relations in the Faculty of Arts and Sciences. He is the founder of Emerson Rigby, an Israel-based full-service consultancy firm and a member of the International Advisory Council of APCO Worldwide. Ambassador Aharoni is a 25-year veteran of Israel’s Foreign service. He is a public diplomacy specialist, founder of the Brand Israel program, and a well-known nation branding practitioner. Ambassador Aharoni has been Israel’s longest serving Consul-General in New York and the tri-state area to date. He held that position for six years, overseeing the operations of Israel’s largest diplomatic mission worldwide. Ambassador Ido Aharoni resides half a year in Israel and half a year in New York. Ambassador Aharoni is known for introducing marketing tools to the practice of diplomacy. Looking at places as brands was part of this innovative approach. In this lecture, Ambassador Aharoni will take you through the various stages of the process that has improved Israel’s positioning in the world. What started seven years ago as a big promise for a more pluralistic and democratic Middle East quickly turned into a regional wave of instability, unprecedented violence and national disintegration. What can we expect of this volatile region in the years to come? What are the origins of the anti-Israel movement on campus? What are its long-term goals and how should people who truly care about democracy be concerned with it? Ambassador Aharoni, who has lectured at over 100 universities in North America, will propose a solution to the problem. ​The core practice of career-diplomacy is perhaps the most disrupted field but hardly any research has been done on it. Ambassador Aharoni, a 25-year veteran of Israel’s Foreign Service, will explore the dramatic changes that diplomacy and policy-making have undergone as a result of the technological revolution. Ambassador Aharoni, who served as a member of Israel’s team to the negotiations with the Palestinians in 1993-94, will provide an overview of the peace talks from their early beginnings until today. Mankind is experiencing one of the most dramatic revolutions in its history. The exposure to information, its volume and easy accessibility are all unprecedented. What is the true impact of the information revolution on our lives, consumption patterns and perception?